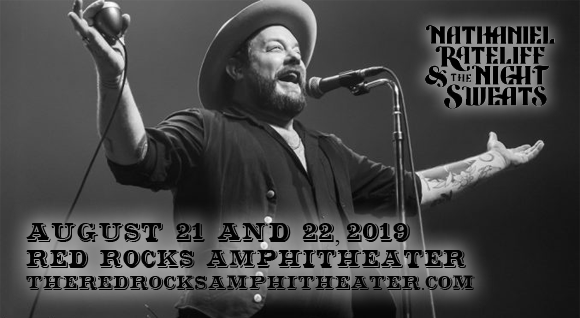 Beloved Denver icons Nathaniel Rateliff and The Night Sweats are coming to Red Rocks Amphitheater on Wednesday 21st August 2019 for two nights of sweatin', stompin' and damn good music! The "hometown" boys always put on a spectacular show, and this year Red Rocks will be treated to a double-bill! High energy and soulful power are guaranteed by this incredible folk-tinged indie-rock band!